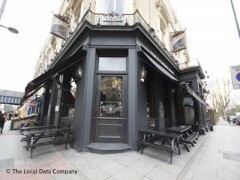 About: The North London Tavern is a pub that serves beers, wines and spirits. They have live music every Saturday. Very nice pub. Went to a party upstairs in the private room. A typical newly refurbed to look beaten up type pub. Would definately go again.